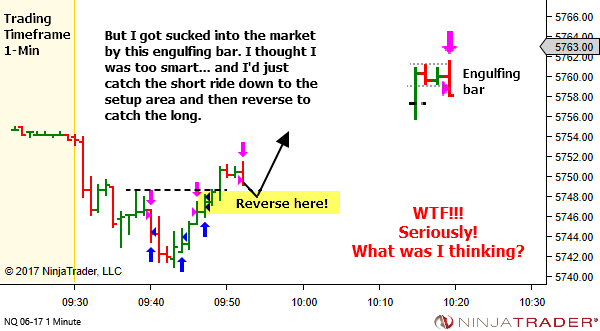 I often talk about identifying the areas where "other traders" are trading in really dumb places. 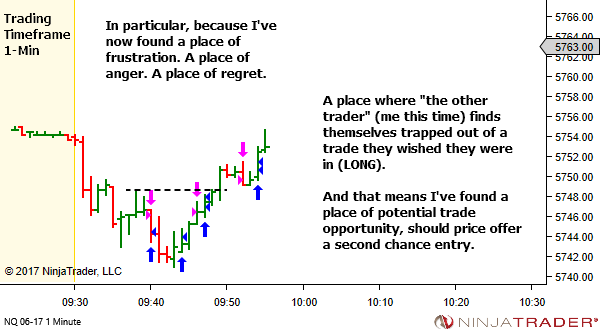 Places where they've found themselves trapped in a really low odds trade. Or trapped out of a position they wished they were in. Places of emotion – fear, anger, regret! 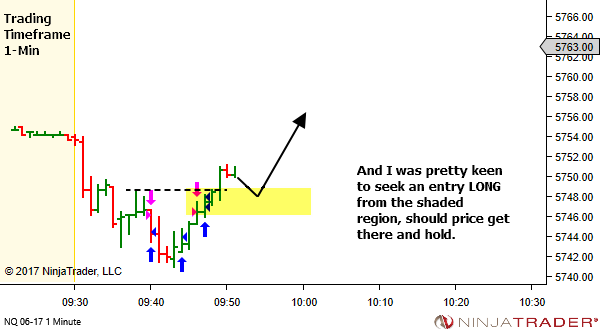 These areas of the chart often provide us with great trade opportunity. 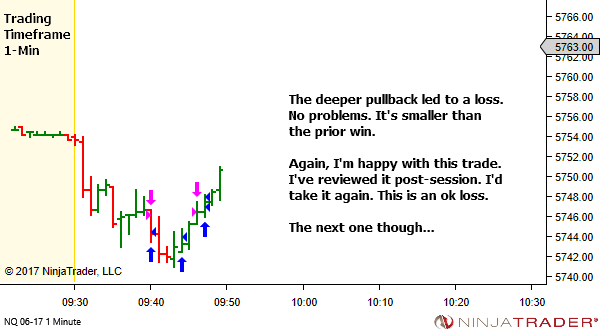 But one thing I don't recall discussing is the obvious fact that sometimes we find ourselves taking these dumb trades. But that's fine. It's information. 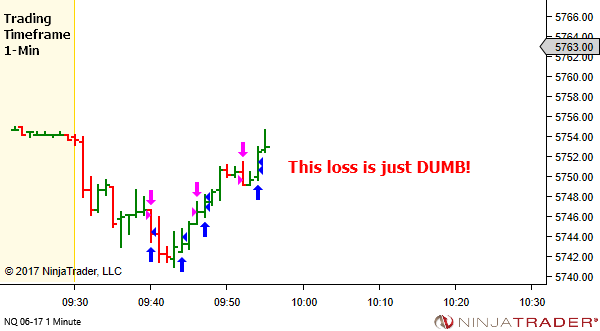 We read the market wrong. 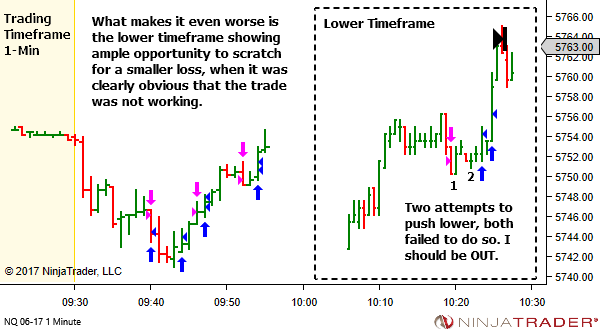 Now we've got feedback that helps correct our bias. 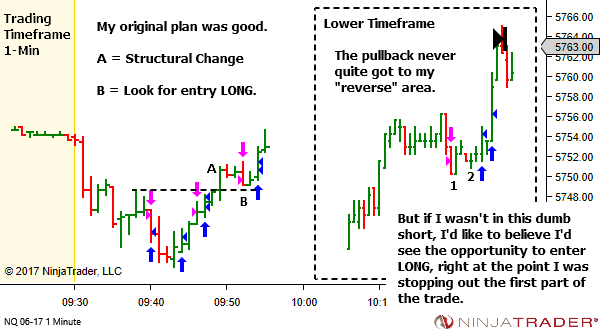 And sometimes, if we've maintained a calm mindset, we might still find trade opportunity as price retests the area of our dumb trade. 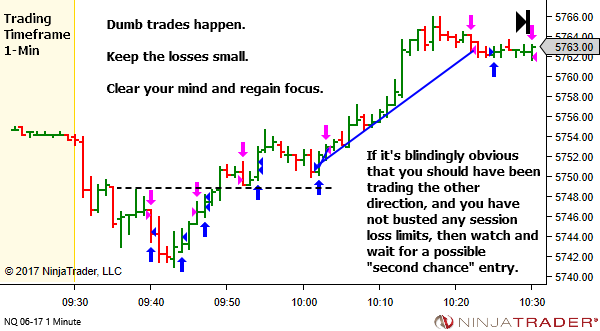 Too often we let a losing trade get to us. Especially when it's immediately clear that it's a dumb trade. We can't allow any negativity to remain for long though. It is IMPERATIVE that you have some kind of routine in place to briefly get away from the charts and clear your mind. 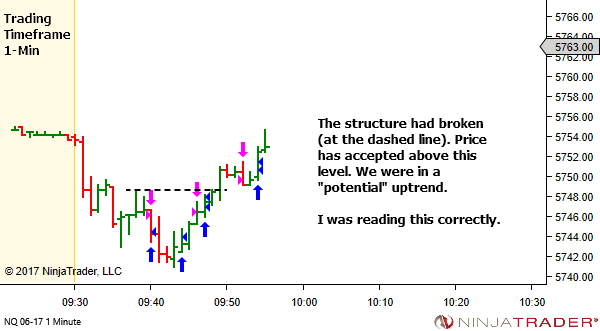 YTC Price Action Traders, refer to the FOCUS and REGROUP sections in Volume 4, Pages 49-50. Maybe consider printing out those two pages and sticking them on your wall. Shake off that loss. It's small. 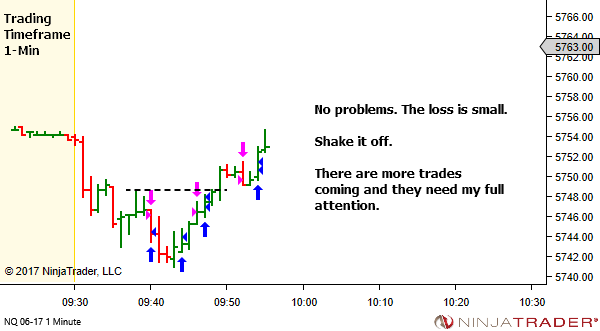 It will be overcome by one good trade. Now focus. 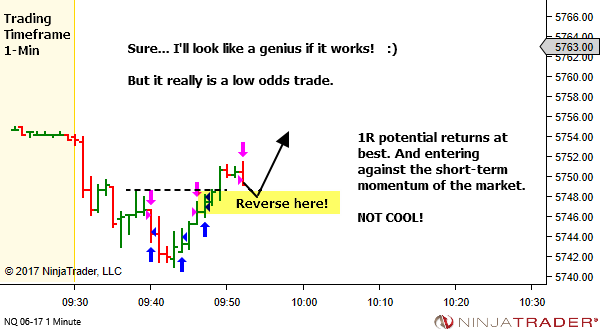 And prepare yourself for the next trade. 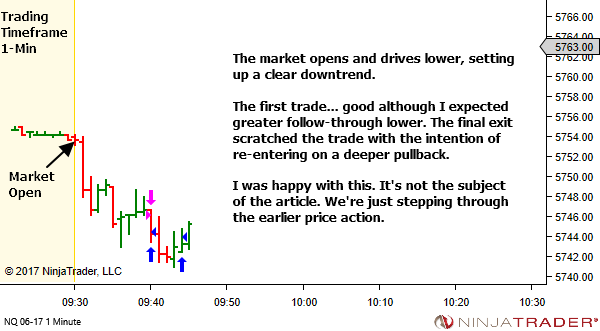 If the context suggests potential for a second chance entry, it could be coming up VERY SOON.